Many photographers know that the eyes are the key to a great image of people. They are the first thing most of us focus on when we view a photograph and they can also can set the mood and tone for the image in the way the eyes are captured. In my online class at PPSOP called Eye to Eye: Capturing the Face, I love to talk about how powerful the eyes can be in photographs of the face. One of the most important things to keep in mind is the focus……if the eyes are not critically sharp, then most viewers will not appreciate the image as much as they should. It is because our brain does not deal with soft focus very well. Try to cross your eyes for more than a few seconds and you will see what I mean. Blurriness is not a nice feeling and that goes for photographs as well. When we are used to having things as sharp as possible in real life….then even in a two dimensional form as in a photograph, our mind wants that to be sharp too. So keep an eye on the eyes and make sure that you focus on them when photographing the face. Whether I am shooting kids, adults or even animals, my number one priority is making sure that I get precise focus right on those eyes, especially if they were looking straight at me. I’m using a tripod more often than not and that helps me tremendously with making sure I can lock down my focus on my subjects eyes. But quite often, I’m not able to use a tripod or need the spontaneity of not having one and that is when I love having my image stabilization kick in. If there is one amazing invention that has changed photography so much in the past 10 years, it is definitely image stabilization or vibration dampening. This feature, which is coming out in more and more lenses from all kinds of manufacturers, is a godsend. Whatever method you choose to use, make sure that your eyes are focusing on their eyes. 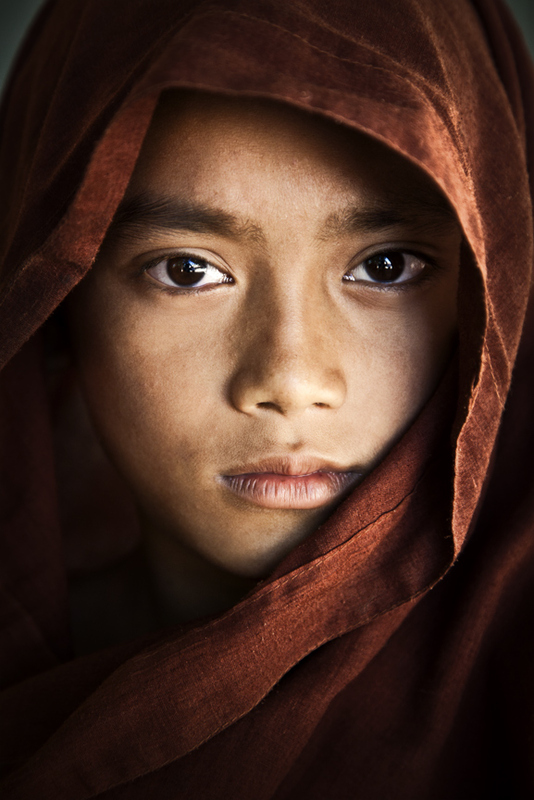 On the above image of the little monk boy, I was in Burma in two months ago, leading a workshop and trying to show everyone how to capture emotion in the faces of these little boys. After setting up the shot the way I had previsualized and with my 70-200 on my tripod, I made sure that I had precise focus on his eyes and made sure that he didn’t move at all. If his eyes had been even the slightest bit soft, this image would not have had the impact that it does. I am supercritical about making sure my focus is right on those eyeballs just about every time I am shooting a face. And a very important part of getting these images is making sure that the default setting on many cameras is changed as soon as you get the camera. Many cameras choose the focus points for you when you push the shutter, pretending that they know better than you where you want to focus. In trying to be helpful, they end up giving you a false sense of security, making you think that your images will be sharp. The first thing I show many of my students in all of my classes is to change the focus point to one focus point, which for me is usually in the center of the viewfinder. Then you can focus on the eyes, if that is what you need to get sharp and then recompose and shoot, making sure you are still holding down the shutter button. An even better way is to use another button on the camera to get your focus. This is the preferred way to shoot and one I cannot live without. Some cameras have another button built in to let you set your focus and many cameras let you set certain buttons to be your main focus button, taking the ability to focus off of your main shutter button on top of your camera. Once you shoot like this, you will never go back to the old fashioned way. With the shot of Judson & Deklin, my two buddies, getting critical focus as they were looking at me was essential in getting dramatic images. I was using the Ray Flash on my Canon 580 flash and this also helped with getting a super sharp image as the chance for camera or subject blur was decreased with the flash being the source of light. In the image of little Deklin alone on his back, I only used window light and made sure he did not move an inch. As I teach my students, shooting people or kids means that you are the director of it all, the same as if you were directing a movie. You have to be aware of everything and if things do not go as planned, then there is no pointing the finger at anyone else. 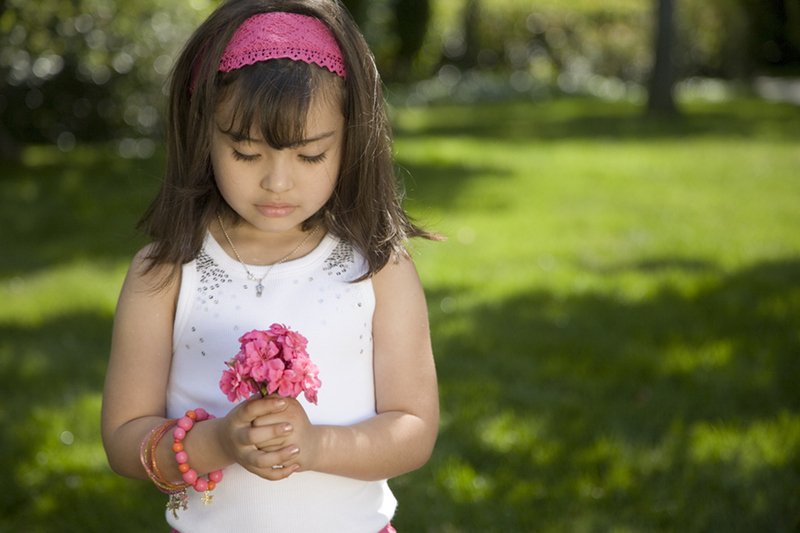 Getting your subjects to be as still as possible will help insure critically sharp images. Interaction is a huge part of what I do with shooting faces and when I am traveling, I love shooting in close with my 50mm macro lens. I get to be much more part of the experience being up close and personal with my subjects and this interaction helps me so often getting just what I want and also helps me get perfect focus. With the Padaung ring necked girl in Burma, getting in close right next to her was the key for me because it let me help her pose exactly the way I wanted and also move some of the hair away from her face. It let me be very close to her so she saw the lens right in front of her, giving me the exact vantage point and perspective that I was seeking. I was also able to focus perfectly on those gorgeous eyes, which was essential in getting this image to pop! One other thing to keep in mind is that your subject does not always have to be looking at the camera. Most of the time, it is preferred to have the eyes looking right into the lens…but many great shots can be created with your subject looking away from the lens or even having their eyes closed. Shots like this can create a mood that otherwise cannot be conveyed with their eyes open and looking directly into the camera. 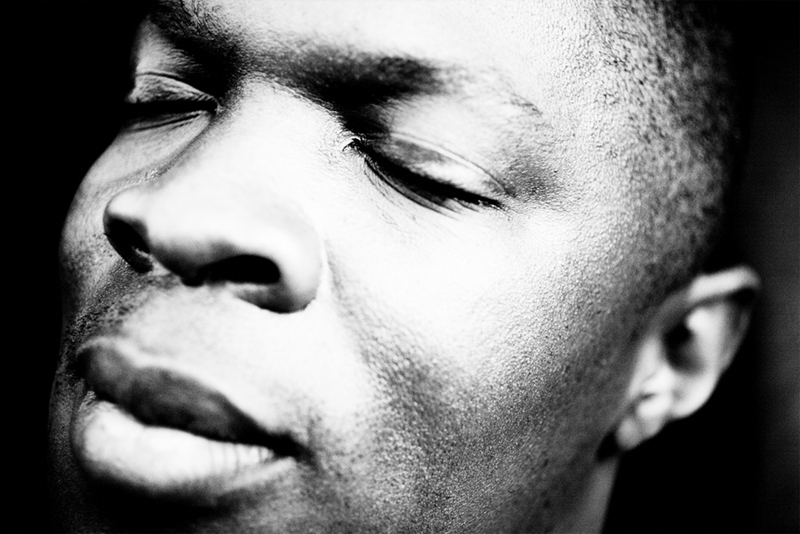 In the following examples, I have some images with eyes closed and also looking away from the lens. I purposely tell my subjects to close their eyes or look away from the camera to create these images and I love the mood that it creates. Try this for yourself when you can and see what you come up with the next time you are photographing someone…..you might just surprise yourself! On the black & white image of the girl looking down, I set this up last night while testing out a new light. I purposely had her look down while shooting from an angle above her, while using my Canon 100 macro IS. I focused right on her eyelashes, with my camera bolted on tightly on my Induro tripod. I did not use the image stabilization since the tripod gave me a rock steady way to make those eyes perfectly sharp. I shot her first with her eyes open and felt that her beautiful eyelashes would be gorgeous with her eyes closed. You should always be thinking of alternative ways to capture your subjects and often just simply having them close their eyes or just look away from the camera can make all the difference in the world. 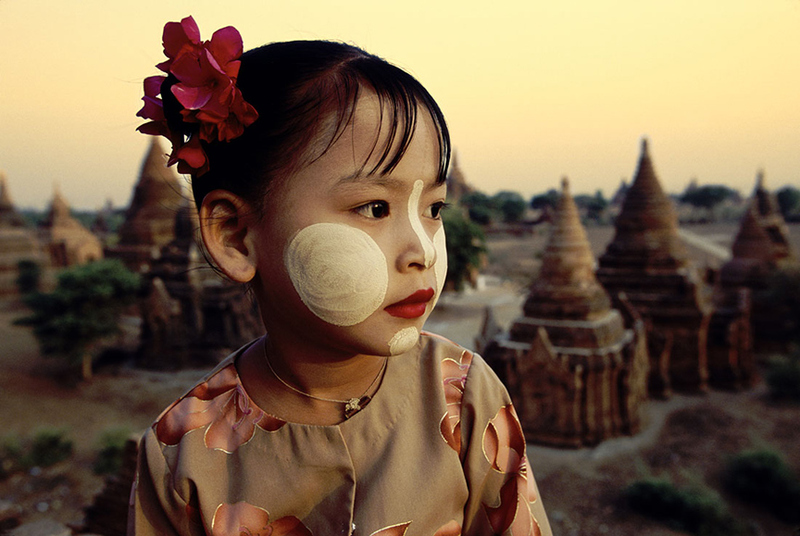 With the little Burmese girl with face paint, I posed her atop a temple and purposely had her look away instead of looking right at me. I felt that this would make a more powerful image and give me the feeling that I was looking for that morning in that magical place. I not only turned her head to look away but I made sure she did not smile, which gave a sense of place and the right mood to the image. I shot her with my 16-35 wide angle right up next to her and I call these kind of images, close focus, wide angle photographs and love shooting in foreign countries this way. I love shooting faces with the eyes closed and in the photo below, I posed Gregory at sunset while I had him lean back against the pier by the ocean in Santa Monica. He had powerful eyes but I had a feeling that with his eyes closed and angling him to his right, that I might get an even more powerful shot. I shot in tight, once again with my 50mm macro lens, and got just what the doctor ordered. With adorable little Fernanda holding the flowers, I just went with my instincts and decided to have her look down at the flowers I had just picked and given to her. They matched her headband and I wanted to show some emotion from her. Having her look down and not into my lens gave a sense of wonder with the image making the viewer a part of it, trying to guess what she is thinking about. Capturing emotions that we all see in others and do ourselves every day can be a very intriguing and powerful part of thinking outside of the box. And remember, paying attention to the eyes goes for animals as well. 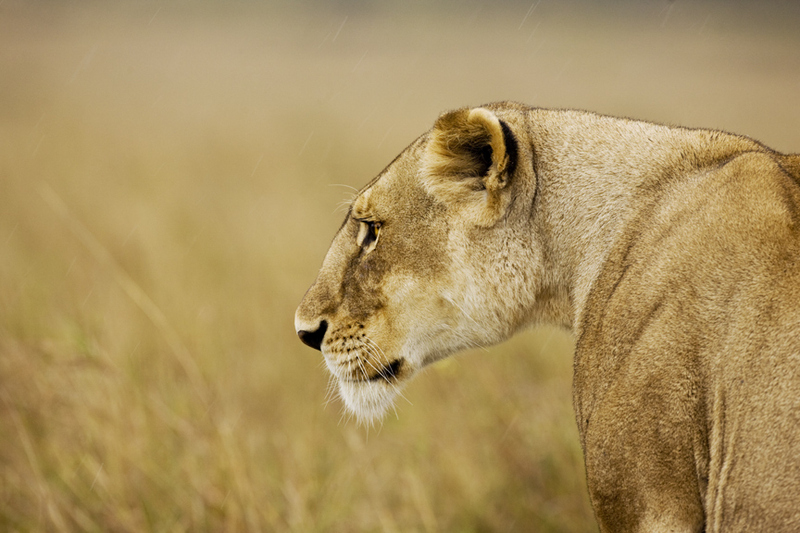 Getting the eyes perfectly sharp of the lioness in Africa was essential in making this image work. Using my 500mm lens atop our safari van on a sandbag is not always the most ideal way to get perfect focus but if you work hard, you can get critical focus. While she was scoping out her next meal. I focused right on her left eye, while I made sure everyone in the van was perfectly still. Using long lenses, you have to watch out for any movement at all as they are incredibly susceptible to blur from the slightest movement. Her eye in perfect focus made this image much more powerful and gave me just what I was looking for along with the beautiful f4 blur from the long telephoto. Remember…….the eyes are the key to many images. Being as sharp as possible is going to make you look like a better photographer. Being creative with how you pose them and where you make them look will also set you apart and make your images stand out. Remember….. Your subjects don’t always need to be looking straight at you. Try new things and new ideas as often as you can and you will always surprise yourself! 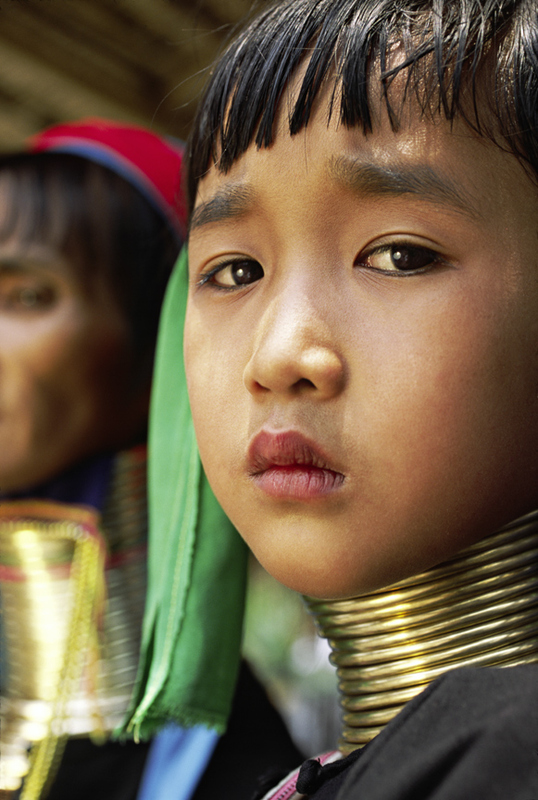 Ouahhhhhh, I got stuck by your two “portraits” in Burma, the little monk and the girl in Bagan…. Remind me so many souvenirs… You are so sensitive through your pictures, I love them! I really hope we can see each other one day, hopefully there or in Switzerland! Hope everything is fine for you and congrats for your work that I do appreciate a lot. photographing and I wish I had because it is off the scale for beauty. I hope we do get to shoot somewhere sometime………… and say hi to the Alps for me!!!!! i have never read a photography article written with so much sensitivity and personal touch. i loved the tips and i promise i will use them in my next shoot. i will certainly appreciate your future articles. needless to add that the images tell the stories so poignantly. very sweet email………….and from the land of India! Love it over there…….